Neil Patel, one of the most influential SEO and digital marketing experts in the world, recently acquired the popular keyword suggestion tool, Ubersuggest. Neil is the co-founder KISSmetrics.com, Hello Bar and Crazy Egg. He has used his skills to grow revenues of top companies such as Viacom, HP, NBC, General Motors and Amazon. 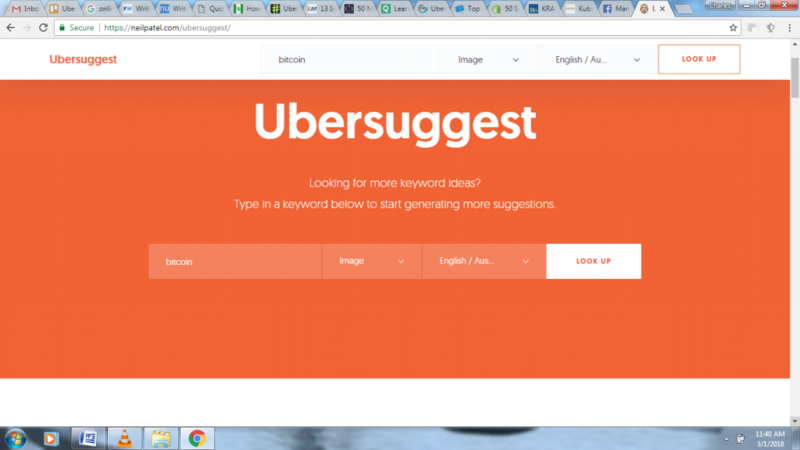 Created by an Italian developer, Alessandro Martin, Ubersuggest is one of the most simple and effective keyword research tools in the market. It provides real and reliable phrases or keywords that people are actually searching for online. The results are comprehensive, including keyword suggestions from Google Keyword Planner as well as Google Suggest. 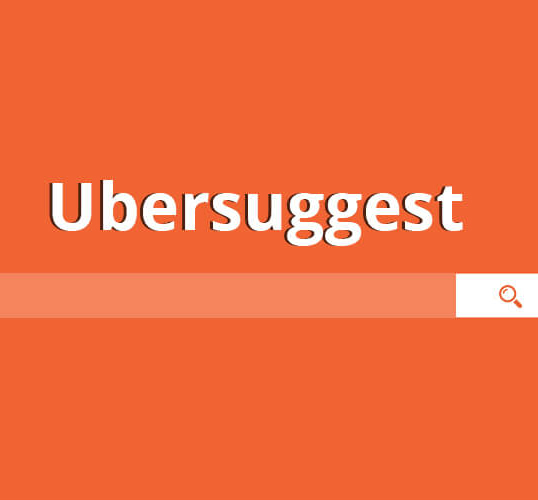 Unlike other tools that come with lots of on-screen information and menus, Ubersuggest has a simple and uncluttered interface that is user-friendly. All you need to do is type in the keyword, choose where you want to get suggestions from (Web, Image, Shopping, YouTube, News), select your preferred language from the drop-down menu, and then click on ‘Look Up’. 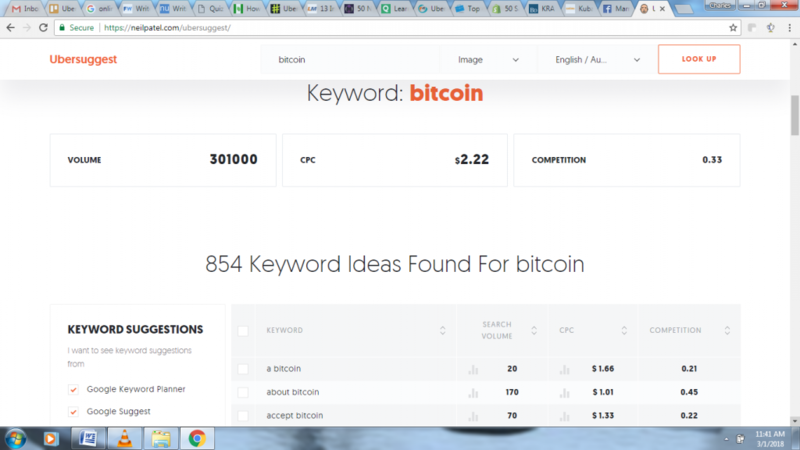 For example, the term ‘Bitcoin’ generated 854 keyword suggestions as shown below. The results also show the monthly search volume, average cost-per-click, and competition level for each keyword. This will help you decide if a keyword is worth investing in from a PPC or SEO point of view. The results are displayed in alphabetical order and can be downloaded in Microsoft Excel (CSV) format. Unlike other keyword tools that have a free and premium version, Ubersuggest is absolutely free and gives users unlimited access to all the features. Another great thing is that it fetches data from Keyword Planner without the need to make a user or login, and a future integration with Google Analytics/Webmaster tools will turn the tool into an all-in-one perfect free tool for SEO and PPC professionals. Neil Patel’s entrepreneurial journey began when he was still a teenager. His first startup was Crazy Egg, a heatmapping tool that helps business owners see which sections of their websites are generating most engagement with visitors. Neil has been recognized as one of the top 10 online marketers in the world by Forbes, and one most influential people on the web by The Wall Street Journal. However, one of his main achievements is being awarded Congressional Recognition from the United States House of Representatives.